Owain specialises in geographies of nature-society relations, place and landscape, community and resilience, the role of memory, nonhuman agencies, and temporalities of landscape. He researches into water and community issues; tidal/coastal landscapes; co-production of knowledge with non-humans; and community, memory, flooding and resilience; in a series of Arts and Humanities Research Council and Economic and Social Research Council funded projects. He has an arts background and frequently collaborates with artists and works in interdisciplinary research teams. 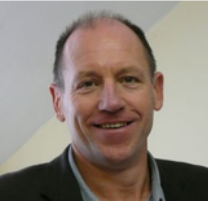 He has published a number of peer reviewed papers on the above subjects, and has recently edited the book “Geography and Memory: Identity, Place and Belonging” for the Palgrave Memory Studies Series. Previously he has published the book “Tree Cultures: Places of Trees and Trees in the Place”. 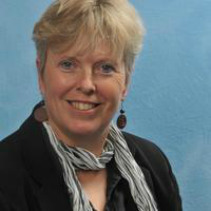 Lindsey is Professor of Environmental Management and Co-Director of the Centre for Floods, Communities and Resilience (CFCR), University of the West of England (UWE). She has led or co-investigated several UK Research Council (RCUK) funded interdisciplinary projects including the AHRC-funded Living Flood Histories which explored the role of the arts and humanities in developing new insights in how to live with flooding and environmental change; the Multi-story water project, which researched the potential of co-created water narratives integrated with situated performance in engaging communities around the opportunities and challenges of living with water; and the Sustainable Flood Memories project, exploring relationships between flood memory and local/lay knowledge in developing community resilience in the aftermath of the 2007 floods on the River Severn. Lindsey is currently also leading a RCUK funded project on drought risk management (2014-2018), which is exploring the value of science-narrative approaches in developing an evidence base for decision-making in UK drought risk management. One of the seven UK case-study catchments is the Frome above Frenchay. ​Peter is an environmental historian who studies human relations with the rest of the natural world over time. He is particularly interested in liquid environments, waterscapes and aquatic creatures, and his books include Salmon (2006) and A Story of Six Rivers: History, Culture and Ecology (2013). 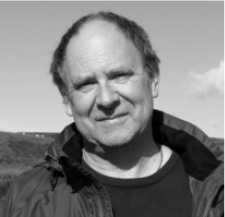 He has been involved in various place-based AHRC projects, including 'Militarized Landscapes in Twentieth Century Britain, France and the United States’, 'Local Places, Global Processes: Histories of Environmental Change’, and, currently, ‘The Power and the Water: Connecting Pasts and Futures’. Peter’s interests include outdoor swimming (he is self-appointed president of the European Society for Environmental History’s swimming club). 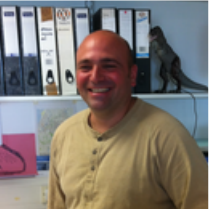 Michael is a researcher at UWE, Bristol with a background in community planning. His research interests centre on themes of creative practice, activism and community. Related to this, he recently completed two projects funded through the AHRC’s Connected Communities programme – cultural activism in the community (2012), and foodscapes (2013). On the Hydrocitizenship project, Michael’s role is to participate in the Bristol study and to examine issues related to ecological citizenship across the four case study areas (Bristol; Lee Valley; Borth and Tal-y-bont; and Shipley). More generally, Michael is interested in creative practice, activist, place relationships and has written on this with colleagues for the journal ‘City’. Their piece, Cultural activism and the politics of place making, looks at recent cultural activism in Stokes Croft, Bristol and is available on the journal website. He continues this stream of work through a ‘post-phenomenological’ study of place, ‘things’ and experience in a local public space known as the Bearpit (also in Stokes Croft). Katherine is a geographer with an interest in human-environment relationships, sustainability, planning and governance and how these are affected by ‘ways of knowing’. 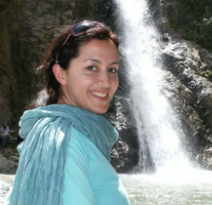 Her PhD (from Aberystwyth University) was titled Mainstreaming the Alternative: Low impact development and the governance of sustainable development in Wales. She is currently based in the Centre for Floods, Communities and Resilience at the University of the West of England where she has been working on projects around community engagement and creative approaches to understanding and knowledge. Having spent most of her life living by the coast (in Wales and Vancouver), she enjoys swimming in the sea, walking in the hills, photography and poetry. 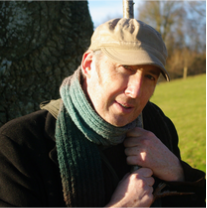 Iain is a Visiting Research Fellow at UWE, Bristol, UK, and the former Director of PLaCE - now an international arts-led research network of which he remains a coordinator. Apparently semi-retired, he continues to supervise doctoral students in Ireland, England and Wales, works as a teacher/artist/researcher concerned with ‘deep mapping’ in various eco-social contexts, and writes. Recently he has held a Moore Institute Visiting Fellowship at the National University of Ireland, Galway, where he worked on ‘artful ecosophies’ in rural contexts, and contributed to a workshop on resilience at the University of Gröningen. ​Antony is a founder member of the NOVA Creative Lab, and an independent environmental artist-researcher, with a background in eco/geo-sciences and landscape studies. Many of his projects are concerned with the relationships between people&place, ecological processes, environmental change and cultural adaptation. Areas of particular focus include coastal/river landscapes, deep-time (geological) perspectives and routes/journeys. 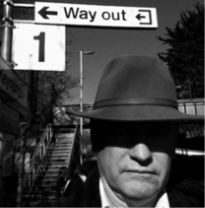 He works collaboratively to produce film, sound and sculptural installations and is currently producing a long-term project, supported by Arts Council England, titled ‘Submerged (Drowned and Dammed Lands)’. This brings together scenarios of rising tidal waters and the intentional submergence of lands by constructed dams/reservoirs. Antony can sometime be found paddling around in his inflatable kayak in Bristol’s Floating Harbour and some of the lesser-known backwaters of the Somerset Levels, where he worked for many years as a water-quality scientist and environmental planner.